The story begins with a teenage girl waking up on a park bench and realising that she cannot remember anything. She can't remember where she is, where she lives or who she is. The only thing she knows is that her name is Sia, and that's just because the iPod she has with her has her name on it. Confused and lost she runs into a few scary situations until she meets another homeless lady called Carol. Carol helps Sia to survive on the streets, takes her to the soup kitchen and supports Sia by being a friend. The story continues with a male volunteer shouting at Sia for being in the soup kitchen. Sia is confused and doesn't understand why this boy hates her so much and in her scared state runs outside where she has a car accident. As a result of the accident, the hospital locates her family and tell Sia she has amnesia and they are unsure when she will regain her memories. As Sia goes back to her old life she realises that she was one of the meanest girls at school, a typical head cheerleader dating a jock and always being the centre of attention, treating the less well-off kids like dirt. 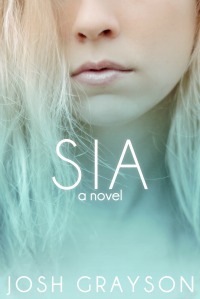 The more Sia gets to know who she was like, the more she wants to change herself, and she starts off by making more effort with her troubled parents, who are having severe financial problems not to mention her mother has a serious alcohol addiction. It was funny to see how everyone reacted to her loss of memories. For example, when Sia returns to school wearing the simplest outfit in her closet with sneakers and without makeup or jewellery her cheerleader friends have a panic attack and get to work in making her more 'presentable.' Although Sia's mother insists Sia does not go back to see her homeless friends, Sia still manages to meet Carol and the others and gives them gifts of food. The angry boy turns out to be Kyle; someone Sia treated badly in her old life, but Sia makes amends and helps Kyle with his fundraiser. The rest of the story is about Sia trying to rectify all the mistakes she made in her past by helping others, primarily through the fundraiser. At the same time, she manages to close the bridge between the different cliques by giving them a common goal; to help all the victims of the San Francisco earthquake. Overall, I found this book very easy to get into and to read. It had a quick pace and at times was a bit too simplistic and slightly unrealistic. For example, I found it hard to believe that Sia's mother gave up alcohol so quickly. Plus, why didn't Sia go to the police when she couldn't remember anything? You would think that was the first thing to do... But there was a lot going on in the story, so I understand why it was kept so simple. The moral of the story to me was that everyone should be given a second chance. Sia got a second chance through her amnesia and in turn, she forgave her old friends for the way they were treating her after she lost her memories. A good read, and I love the cover! She smiles. "True friendship is when two friends can walk in opposite directions, yet remain side by side." "All of a sudden, it's like I don't even care about being popular." She frowns. In a serious tone, she asks, "Though that's probably just a temporary thing, don't you think?" It's such a cute question that I have to laugh. Can't change the world in a day, right? "I'm happier now," I say. "I don't have to pretend all the time." "Pretend? What are you talking about?" "I'm talking about always having to have the right clothes, the right make-up, the right walk, the right boyfriend- everything. It's exhausting, putting up that façade. Life's much easier now that I'm not a full-time beauty queen." I am really glad to read you review. I have this book, but haven't started it yet. Now I am really looking forward to it.